After watching my video My Google Project Fi Data Only SIM, A viewer, Mike asks.. I found this video on YouTube Is this still available? What is the charge for the data card.? Yes, Google Fi Data Only SIM cards are still available. Based on your question in may not be clear to you how Google’s Fi Data-Only SIM cards work. 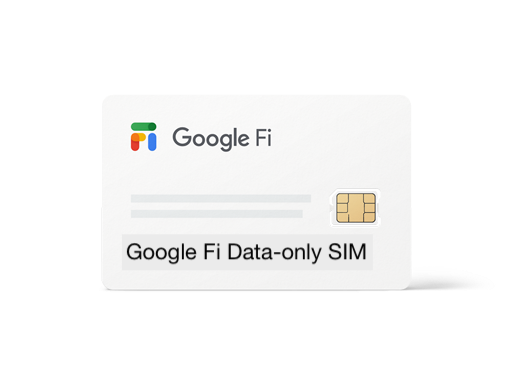 These Data-Only SIM cards are for existing Google Fi customers that already have phone service with Fi. You can order additional data-only SIM cards for free and use them in another phone, tablet, or other cellular device. The data you use with these SIM cards is charged against the data budget for your phone. Google Fi currently charges $10 per GB for data. When you check you data usage from the app or online, it will show you how much data each app used. You’ll see in the screenshot below that Fi tracks each of the devices that you have added to your account and that you can add one or more Data-only SIM cards as needed. My Fi account is currently on pause as I am an iPhone user and Fi works best with Google Pixel, or select Android phones. Google Fi’s Data-Only SIM’s are a really awesome feature. I haven’t checked recently but last I checked no other wireless carrier offered data-only SIMs like Fi does.